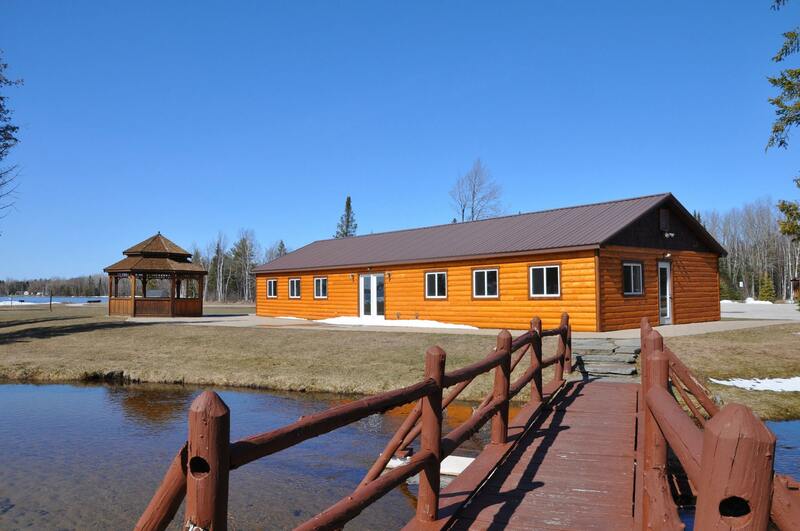 The Recreation Hall and the Pavilion are available for rent! Plan your wedding, business retreat, family reunion, parties, church youth groups and camp gatherings and sports’ teams get-togethers at Camp Petosega! Families are welcomed to use the playground at the park for children’s birthday parties. Remember that day use of Camp Petosega is always FREE! * Note that the deposit fee for the rec hall will be kept if the reservation is canceled. 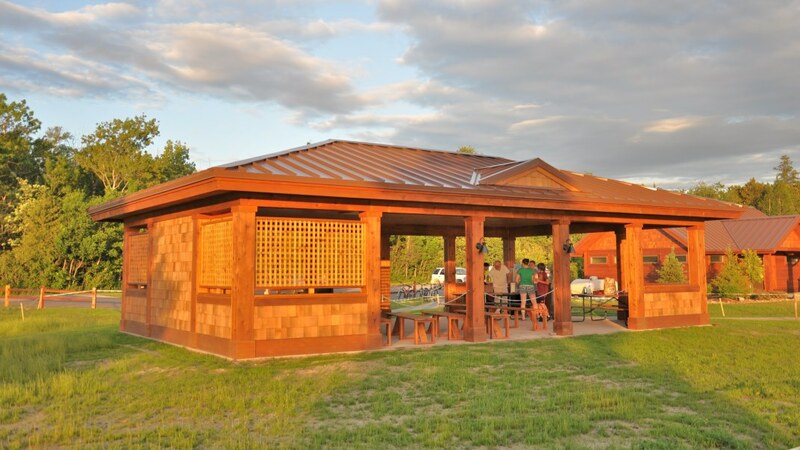 A beautiful pavilion at Camp Pet-O-Se-Ga, near the shore of Pickerel Lake, is available for rent. The pavilion can accommodate up to 50 people, with lawn area available surrounding the structure. The pavilion holds eight picnic tables. Rental rate is $125/day (includes electric, water & grill). A deposit of $100 is required. Call (231) 347-6536 for rental and reservation information. New playground at Camp Petosega! 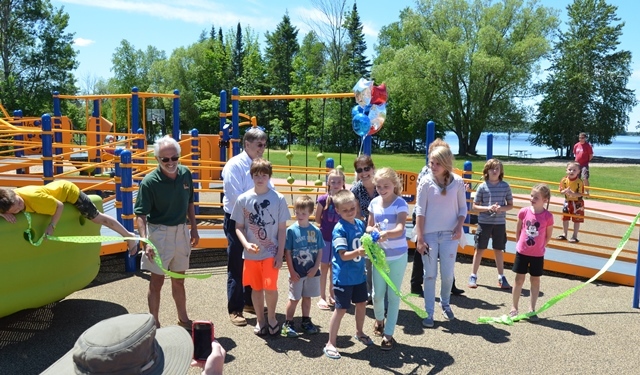 Emmet County has installed a new playground at Camp Petosega after receiving grant funding for the play center from the Michigan Department of Natural Resources Land and Water Conservation Fund and the Local Revenue Sharing Board! The new playground opened officially in summer 2015. We are excited to share this new playground with the public! As a reminder, Camp Petosega is open free to the public for day-use. Also of note is that this play structure is handicapped-accessible, so all kids are invited and welcomed to come out and have a blast. Families are welcome to hold their children’s birthday parties around the playground area. Day use of Petosega is always FREE!